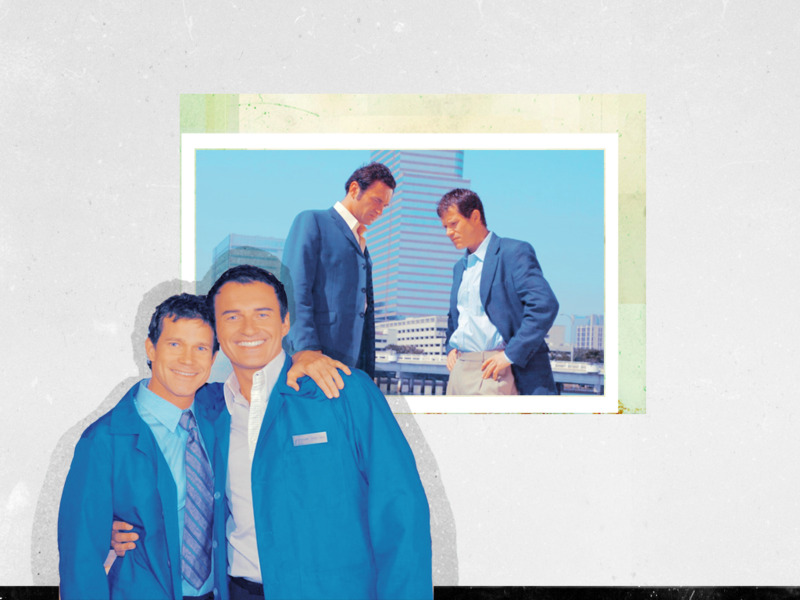 Sean & Christian. . HD Wallpaper and background images in the Nip/Tuck club tagged: sean mcnamara christian troy. This Nip/Tuck wallpaper might contain workwear, bathrobe, outerwear, and overclothes.